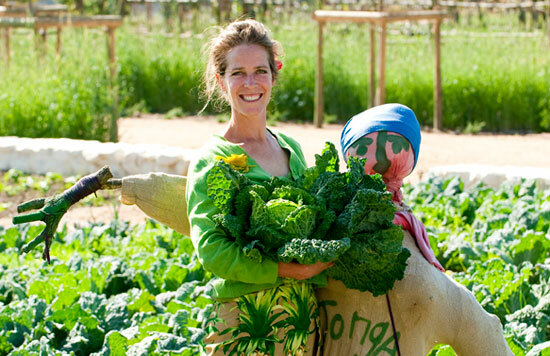 Every day at 10am, we have a guided tour of the Babylonstoren Garden (bookings essential!). 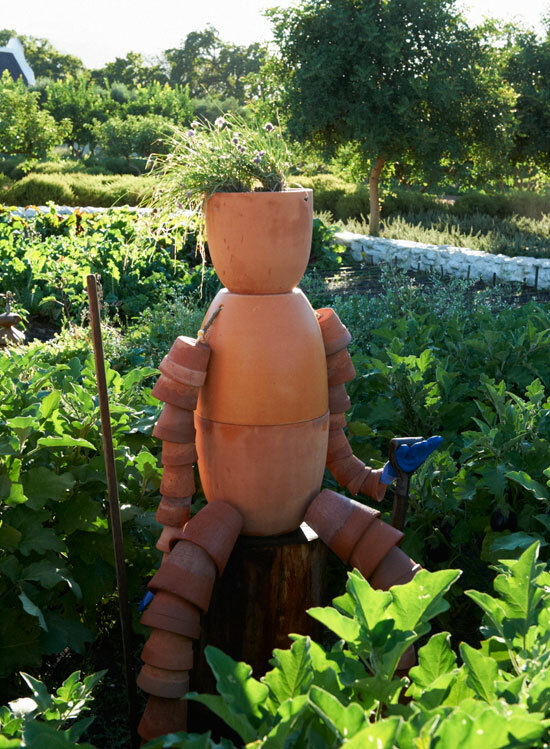 While you’re strolling through the garden you will see a selection of scarecrows standing around… or sitting down, like the one we made from terracotta garden pots! Scarecrows are used as a decoy to discourage crows (as the name suggests) and other birds from feeding on recently-cast seeds and growing crops. 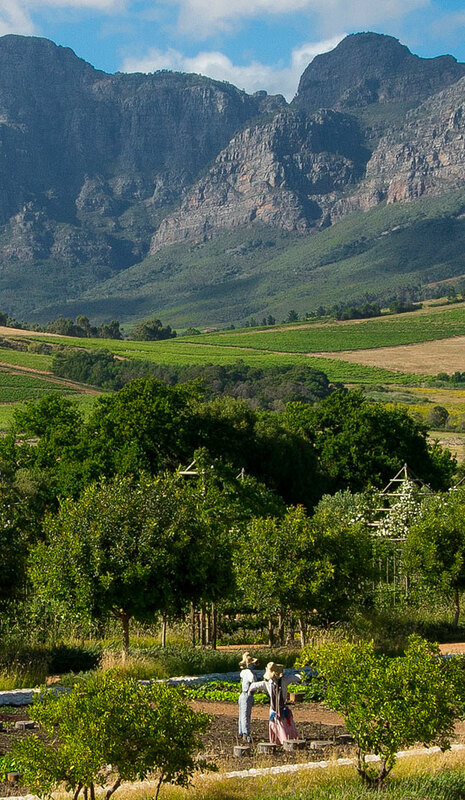 It is usually in the shape of a human being and dressed in old clothes and placed in the fields. Hay is sometimes used to give body to the mannequin, so they’re sometimes called a hay-man. If you’d like to meet our scarecrows on one of our daily guided Garden Tours, please call to make a booking.